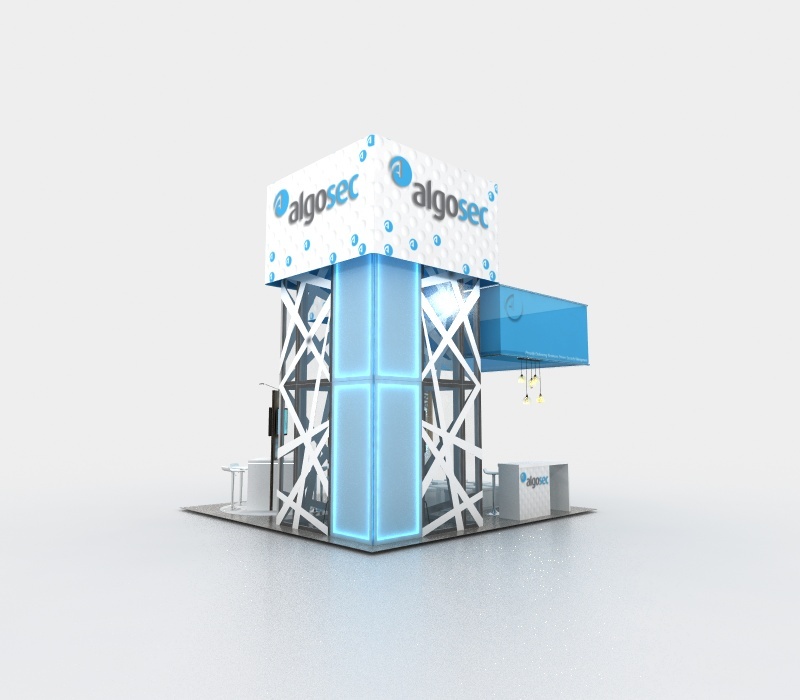 If you want to make sure your booth gets noticed on a crowded show floor, this custom 20 x 20 island booth is an excellent solution for you! 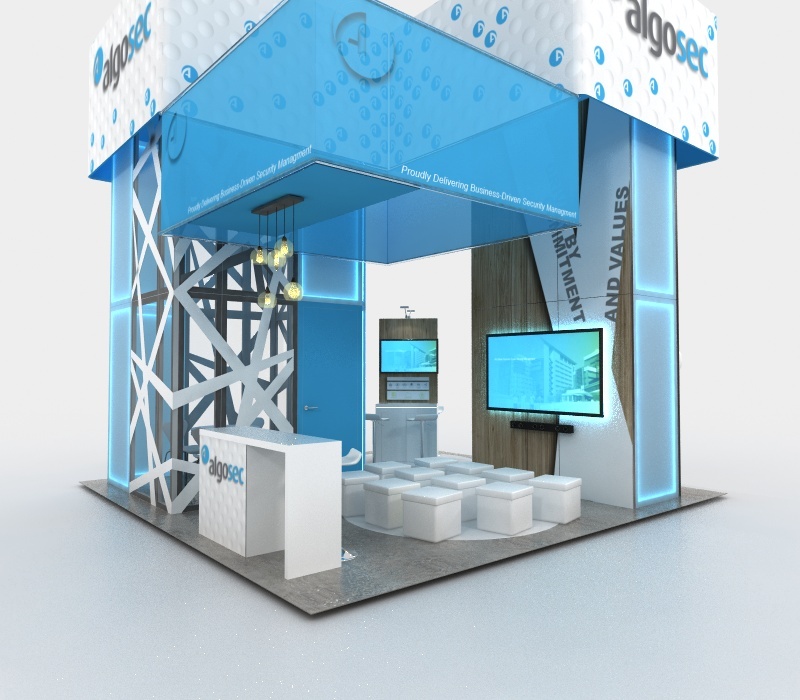 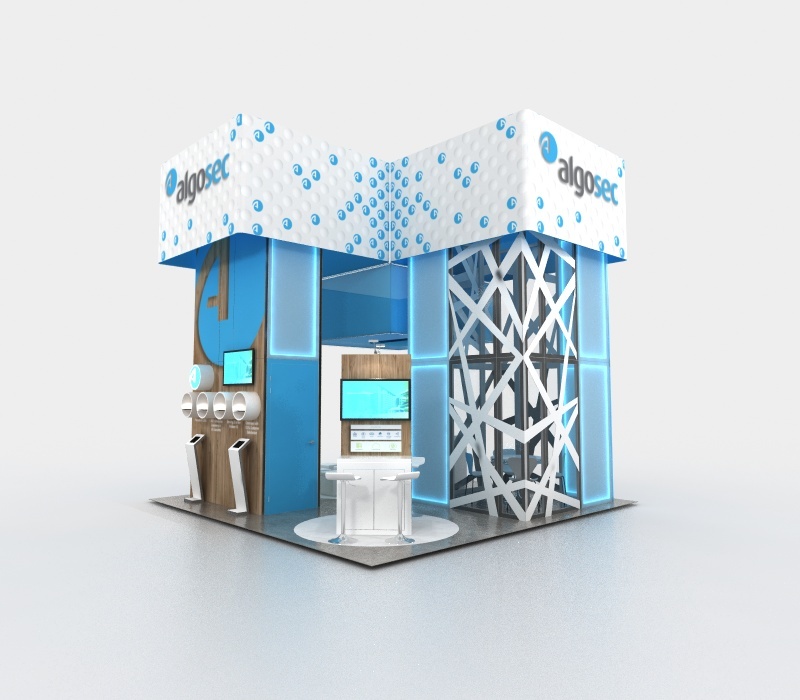 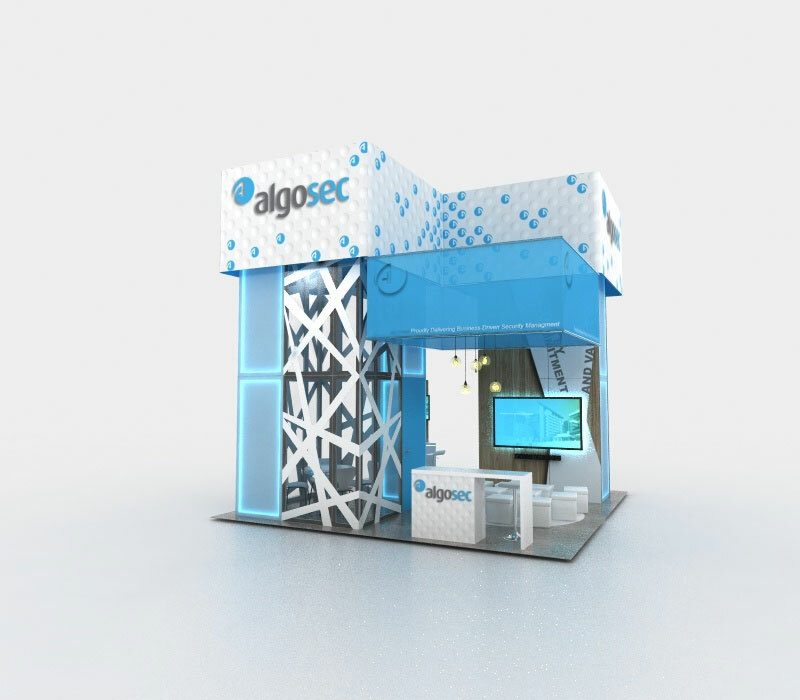 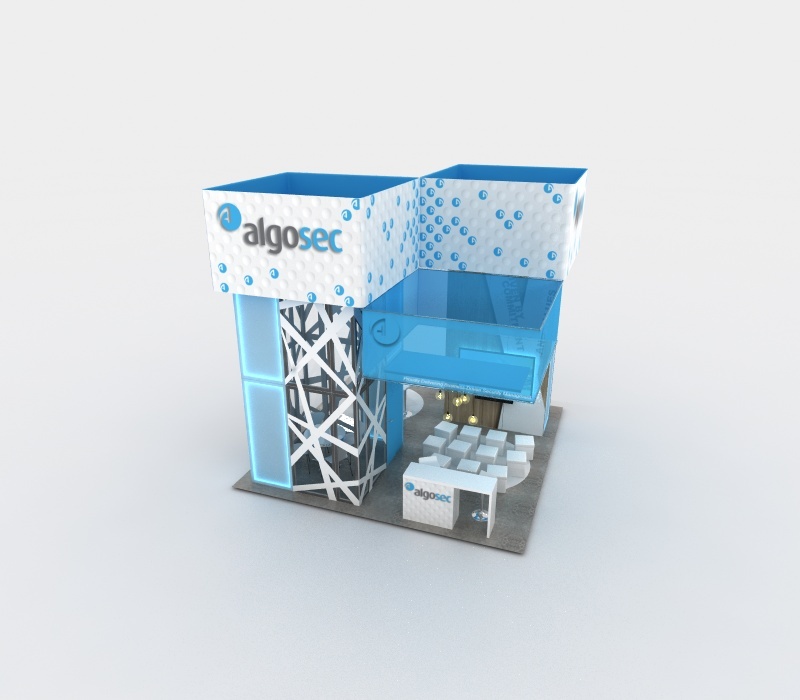 This booth has a modern style and clean lines that are popular for shows like RSA and other security trade shows. 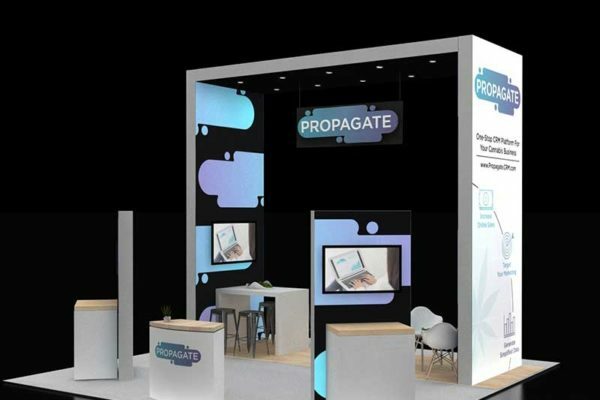 The unique features in this booth include hanging signs, suspended fabric banners on the towers, theater area, multiple kiosk stations, customized product displays, and custom lighting. 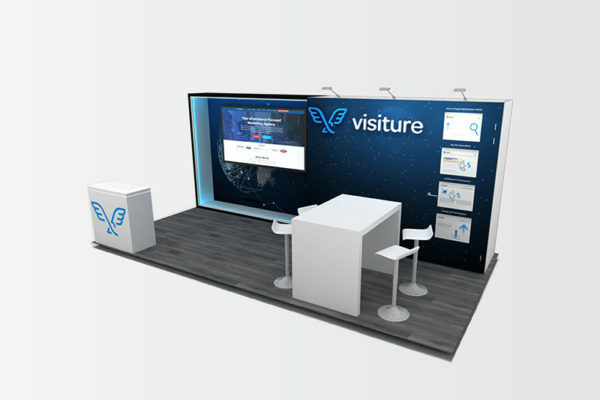 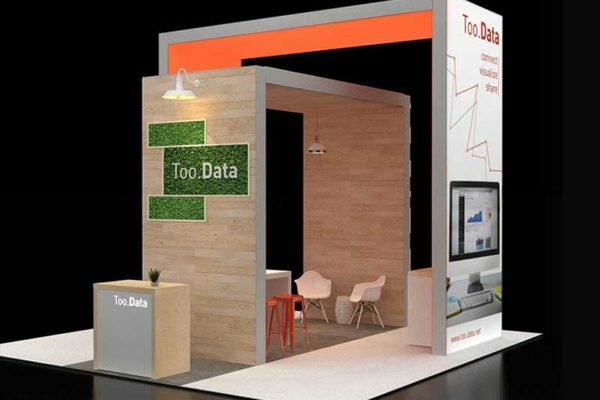 This booth gives you plenty of options and capabilities for you to focus on your marketing goals at the show, and efficiently engage with potential clients.